10 oz. of sunflower seeds, shelled, oil roasted and seasoned. Fabulous, and spicy with a hint of lemon! 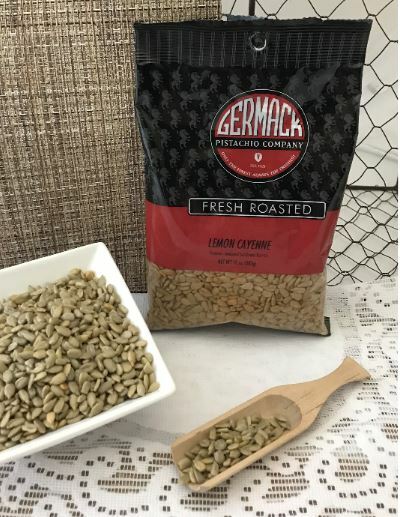 Sunflower seeds are loaded with protein, fiber, and antioxidant nutrients (like vitamins C & E) - a true superfood!